Medicine in the early decades of the 21st century offers great promise, powered by ready access to knowledge, innovative imaging and interventional technologies, sophisticated research, and personalised pharmaceuticals. Despite this, doctors of the next decades will be faced with unique national and global challenges that they are currently ill equipped to deal with. Climate change is predicted to be the greatest challenge to global health in the 21st century, threatening agriculture, stable food and water supplies, infrastructure, coastal communities, the economy, and national security. Optimistically, however, this also presents the greatest opportunity for prevention of harm to human health if effective and adequate actions are urgently taken. Climate change has become fundamentally a moral problem. The scientific evidence is now so powerful and the consequences for current and future generations so dire that those who ignore, obstruct, or corrupt that evidence are guilty of great intergenerational injustice. The merchants of doubt, as Naomi Oreskes branded them, have become intellectually marooned and morally exposed . It is the nature of science to continually question, however, it is also the role of science to draw conclusions to be acted upon. Today, we are presented with objective measurements demonstrating a changing climate. For instance, CO2 levels exceeded 400 ppm for the first time in human history and are still rising, the average annual global temperature has reached a record peak, and the average temperature during each of the past four decades has exceeded the decade before . Human activity has been shown to be the major factor causing these problems . Apologists for inaction trawl through the literature hoping to find some variation in predicted changes such as rainfall levels, or some slight defect in methodology. In contrast, the latest International Panel on Climate Change (IPCC) Report, based upon an enormous volume of evidence from highly qualified climate scientists, has sounded a clarion call for urgent and adequate political action . When we are faced with irrefutable evidence of climate change, it becomes far too dangerous to argue that the evidence is too weak to take bold and decisive action. The obvious purpose of climate change deniers or doubters is to confuse the public, weaken political resolve, stifle transition to more sustainable economies with innovative renewable energy technologies, and encourage rampant expansion of fossil fuel mining, extraction, transportation and eventual combustion within Australia or overseas. It is the most vulnerable and least powerful who are increasingly bearing the brunt of climate change. Children, the elderly, and those with chronic diseases usually suffer the most. In Africa, this is mediated through the increasing likelihood of droughts, dehydration, heatstroke, declining agricultural output, starvation, diarrhoeal diseases, and vector borne diseases . Pacific island nations like Kiribati are facing existential threats from sea level rises and storm surges causing abandonment. At this stage, environmental refugees are not recognised by the UN Convention on Refugees . Europe is already staggering from refugees fleeing conflict and starvation. Australia will not be immune from the plight of environmental refugees if further global warming is not addressed, placing unique demands on our social and health care systems. Extreme weather events are being felt with increasing regularity. Countries in Europe, Asia, and the Americas have experienced more than usual episodes of flooding, blizzards, tornadoes, and cyclones of increasing intensity in some regions and droughts in others . The Arctic ice cap and glaciers continue to melt and the Great Barrier Reef coral is dying . Australians are now realising that heat waves will become more frequent and more intense resulting in not only increasing discomfort and dehydration but also major cardiac and respiratory consequences. In major heat waves such as that in Victoria in December 2009, twice as many vulnerable people died prematurely from those effects than died in the associated devastating bushfires . 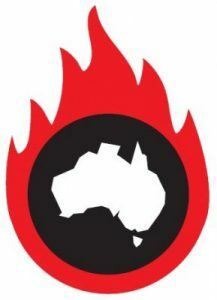 Most Australian state and mainland territories are experiencing bushfires of increasing frequency and severity with great loss of pastures, forests, livestock, native animals, homes, and human life on many occasions. There are virtually no climate change deniers among firefighters battling those bushfires. Despite recent funding cuts to many successful programs, scientific studies into climate change and its effects in Australia continue to enhance the evidence. Technological advances in the quality, economic feasibility, and quantity of solar photo-voltaic (PV) panels continue to deliver increasing energy outputs nationally and globally (87% rise delivering 47 G W in 2015) . Batteries able to spread solar generated energy over 24 hours are becoming much better, cheaper, and more available. These technologies will soon enable thousands of households, commercial ventures, and institutions to be freed from the need to be linked to coal powered electricity grids. Although there has been lukewarm political support and pockets of local opposition, land based wind turbines are becoming cheaper and more available, supplying 63 GW towards global energy needs in 2015 . Large solar –thermal fields have been installed in several counties whilst wave, tidal power, and geo-thermal research and development advance in many centres. Electric cars powered by energy generated by renewable energy technologies with battery storage facilities are about to become much more widely available with major manufacturers investing heavily in these technologies. They have real potential to revolutionise motorised transportation. Carbon capture research and development, tree planting projects, and similar measures may help but will be hopelessly insufficient. The most effective, efficient, and necessary carbon capture available is to leave most fossil fuels in the ground. Around 80% of known reserves must remain there. Renewable energy technologies need to replace fossil fuel economies and workforce dislocations must be managed adroitly during the transition process. What factors are now preventing urgent and adequate action in Australia on climate change? Current ideology states that unrestricted progress must be pursued for the greater economic good. This is seen in the mantra of ‘growth and jobs’ and the need for increasing consumption. Concepts such as limited resources and the need for sustainability are often regarded as radical. Environmental harms are barely mentioned, while the direct and indirect health consequences virtually unheard of when expansions of fossil fuel mining and extraction are promoted. Effective action must challenge this ideology. Prestigious government agencies such as the CSIRO in Australia, NASA in the USA, and similar agencies in Europe and Asia have produced a wealth of valuable data about climate change. Government restrictions to their funding can cause great harm and damage the independent advice that they should provide. Powerful rallying calls have been made internationally, such as the latest Lancet Commission Report on the health impacts of climate change last June, followed by the UN Climate Change Conference in November 2015 . The Pope’s Encyclical on climate change gave additional moral weight to that call . National agreements signed in the Paris Accord and recently ratified at the UN may not be legally binding but they are already being heeded. The USA and China, the two largest polluting countries on Earth at present, and many other countries, have firmed up their commitments to act urgently and on a scale designed to drive down emissions sufficiently to limit average annual global temperature rises to no more than 2.0 degrees Celsius (and hopefully below 1.5 degrees Celsius) above pre-industrial levels. Unless our nation faces this local and global challenge with far more wisdom, vigour, and determination than present policies will deliver, the consequences will be increasingly severe, and those governments that are responsible will be rightly condemned by succeeding generations. Impatient with the current short-sighted national leadership, many individuals and organisations are utilising social media and acting on a variety of fronts. The divestment from fossil fuel movement is gaining momentum. Millions of individuals, thousands of corporations, multiple universities and medical organisations, philanthropic foundations, banks, and even the large Norwegian sovereign wealth fund have divested . The inevitability of stranded assets in this sector has influenced astute investors. Individuals can and are taking action to live more sustainably but political inertia is the major block. In a democracy such as Australia, with financially powerful vested interests undoubtedly influencing public policy, individuals and the organisations to which they belong still have a say. Medical practitioners and medical students, and their professional bodies, must use their intelligence, knowledge, energy, and voice to demand of governments urgent and adequate policies for tackling climate change. World citizenry is now a reality, driven by increasing global connectedness and common challenges. Medical practitioners and medical students have great opportunities and responsibilities to provide expertise and leadership. Global healthcare inequity is already great – for example, 5 billion people currently lack access to safe, timely, effective, and affordable surgical, gynaecological/obstetrical and anaesthetic care . That inequity will worsen if climate change and related environmental hazards are not tackled urgently and adequately. Your generation must be at the forefront of doing so. Medicine is a wonderful profession and I wish you all well throughout your careers. Oreskes N, Conway EM. Merchants of doubt : how a handful of scientists obscured the truth on issues from tobacco smoke to global warming. 1st U.S. ed. New York: Bloomsbury Press; 2010. 355 p. p.
 Hewitson BC, Janetos AC, Carter TR, Giorgi F, Jones RG, Kwon WT, et al. Regional context. In: Barros VR, Field CB, Dokken DJ, Mastrandrea MD, Mach KJ, Bilir TE, et al., editors. Climate Change 2014: impacts, adaptation, and vulnerability part B: regional aspects contribution of working group II to the fifth assessment report of the intergovernmental panel of climate change. Cambridge, United Kingdom and New York, NY, USA: Cambridge University Press; 2014. p. 1133-97. Cook J, Oreskes N, Peter TD, William RLA, Bart V, Ed WM, et al. Consensus on consensus: a synthesis of consensus estimates on human-caused global warming. Environmental Research Letters. 2016;11(4):048002. IPCC. Climate Change 2014: synthesis report. [Internet]. Geneva, Switzerland: Contribution of Working Groups I, II and III to the Fifth Assessment Report of the Intergovernmental Panel on Climate Change, 2014. [cited 2016 May] Available from: http://www.ipcc.ch/report/ar5/syr/. Forrest S, Shearman D. No time for games: children’s health and climate change [Internet]. South Australia: Doctors for the Environment Australia, 2015. [cited 2016 May] Available from: http://dea.org.au/news/article/report-no-time-for-games-childrens-health-and-climate-change1. UNHCR. Convention and protocols relating to the status of refugees. 60 Years. Geneva, Switzerland: The UNHCR: Communications and Public Relations Service. 2010. [cited 2016 May]. Available from: http://www.unhcr.org/. EASAC Working Group. Trends in extreme weather events in Europe: implications for national and European Union adaptation strategies [Internet]. European Academies Science Advisory Council, 2013. EASAC policy report 22. [cited 2016 May] Available from: http://www.easac.eu. Steffen W, Rice M. Climate Council Alert: Climate change and coral bleaching [Internet]. Australia: Climate Council of Australia, 2016. [cited 2016 May]. Available from: https://www.climatecouncil.org.au/. Cameron PA, Mitra B, Fitzgerald M, Scheinkestel CD, Stripp A, Batey C, et al. Black Saturday: the immediate impact of the February 2009 bushfires in Victoria, Australia. Med J Aust. 2009;191(1):11-6. Morris C. Wind and solar power boom worldwide 2015. [cited 2016 May]. Available from: http://energytransition.de/2016/02/wind-and-solar-power-boom-worldwide/. Watts N, Adger WN, Agnolucci P, Blackstock J, Byass P, Cai W, et al. Health and climate change: policy responses to protect public health. Lancet. 2015;386(10006):1861-914. Pope Francis. Encyclical letter Laudato Si’ of the Holy Father Francis on care for our common home (official English-language text of encyclical). Vatican: The Holy See: Libreria Editrice Vaticana, 2015. Carrington D. Norway confirms $900bn sovereign wealth fund’s major coal divestment: The Guardian; 2015. [cited 2016 May]. Available from: http://www.theguardian.com/environment/2015/jun/05/norways-pension-fund-to-divest-8bn-from-coal-a-new-analysis-shows. Meara JG, Leather AJ, Hagander L, Alkire BC, Alonso N, Ameh EA, et al. Global surgery 2030: evidence and solutions for achieving health, welfare, and economic development. Lancet. 2015;386(9993):569-624. Professor Faulkner is the Chair of Doctors for the Environment Australia. He is a Professor within the School of Medicine, Fremantle at the University of Notre Dame, Australia. He was formerly President of the Royal Australasian College of Surgeons from 2001-2003 and Chairman of Australian Council on Smoking and Health. He is committed to addressing the major challenges of environmental degradation and its many consequences.